The search engines are known places today to find out any information. By simply typing some keywords you reach at your desired piece of information found in website. If you reach at certain site, that means the website has employed couple of techniques to make it more visible at the search engines. Select proper search phrases: The first thing you need to do to increase the visibility is to find out a number of search phrases people use to search things related to their niche area. Instead of guessing these search phrases, make sure you research and find out the exact ones. The tools like WordTracker can help you in finding these phrases which can be used to get your target audience at your website. Make sure you jot down a list of around 10-20 such key search phrases related to your products or service which you cater. After this exercise, develop a content using these phrases and incorporate in your website. This is the basic step which you need to carry to increase the visibility of your website on the search engines. Try inbound links: Including the inbound links is an important element in SEO visibility. If you are able to secure a couple of links from quality websites to your business site, this will certainly help you in your visibility factor. The more number of links from the authority websites you have, the more you will be liked by the search engines, and thus it will improve your visibility of your websites. For this you can adopt a couple of methods like writing quality articles, PR and directory submissions. However, the most striking part is to make your website worthy enough to get these links from quality places. Make sure you create a website which should be a resource kind of place, rather than making something which speaks about you only. Post different articles online: The idea behind posting new articles online is to links your site with different websites. So more the number of sites you post the more these links become popular. 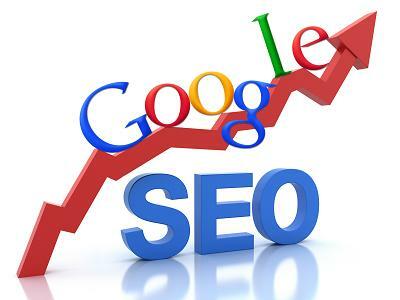 So the better is the popularity of your links, the more chances to make your site visible over the search engines. To start doing this, you need to first write a quality article and post it over Ezine, which is a popular article submission website. If you are able to share some high quality article, then your chances to find it at various places increase. In this way, you end up making your articles and posts popular and giving sufficient amount of links. With good link popularity, you can make your site visible over the search engines. Submit your website links to directories: To get good quality links, you can also think of submitting your website links to directories. This is another way of improving your site visibility over the search engines. There are number of directories including the Microsoft small business directory or the Best of the web which are excellent places for these things. Generally, you need to pay some fees for this, but it’s worth paying some amount to make your website visible over the search engines. Making your site visible over search engines is important to get good number of traffic at your website. The techniques of search engine optimization are considered to be pretty popular in gaining these things for your site. Some of these techniques are discussed above in the article; you can certainly use them to improve the visibility of your website over the popular search engines. With website visibility, you get traffic which eventually gets converted into your business. It requires some time to get these, but with consistent efforts you can reap the benefits of visibility through these SEO techniques.